Good shuttle service. Good access to airport. Train station is close. Clean rooms. 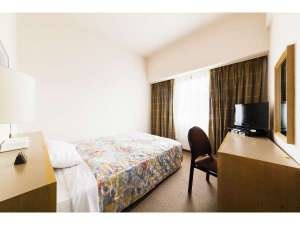 Situated only 3 minute away from Izumisano Station where limited express trains stop, this hotel offers an easy access to Kansai Airport, Aeon Sennan store, a Premium Outlet shopping mall etc. The hotel provides comfortable guestrooms equipped with high speed LAN connection. Please contact the hotel for long stays and groups inquiries. Close to Kansai airport. Near sky train. Close to train station. Very good airport hotel. Close to Kansai Airport. Great location. Wi-Fi available in the room. They also offer LAN cable. Good wifi. Excellent hosts. Fabulous hotel staff. Helpful staff. Comfy twin beds. Good air-con. Excellent room. Varied buffet breakfast. Nice hotel breakfast. Good breakfast.